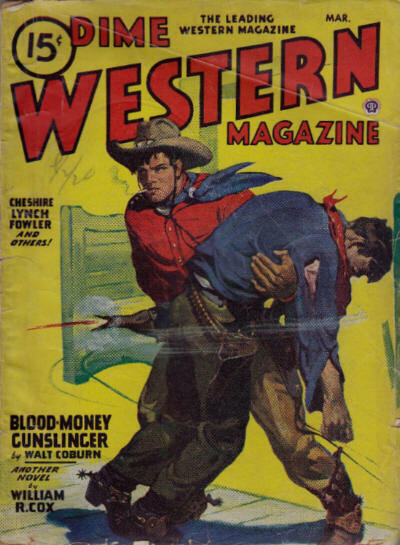 (The contents page claims two novels and two novelettes among the eight stories, but to my count they are all short stories) Details supplied by Denny Lien. 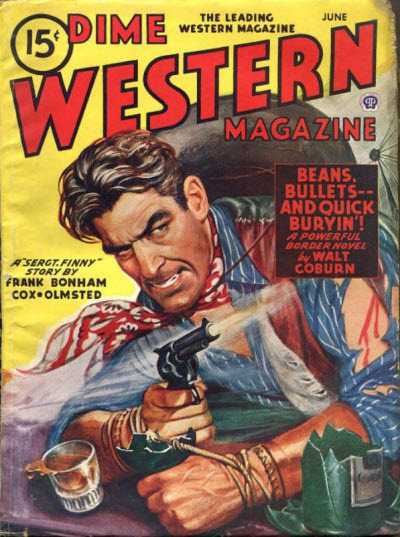 33 · Bean-Bagged! 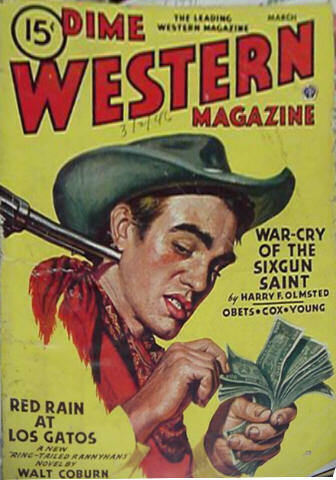 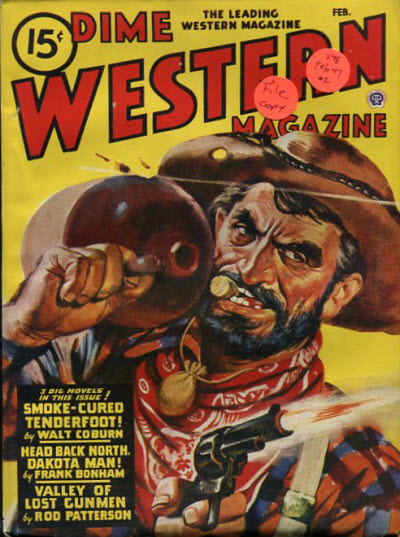 · Jhan Robbins · ar; on Judge Roy Bean. 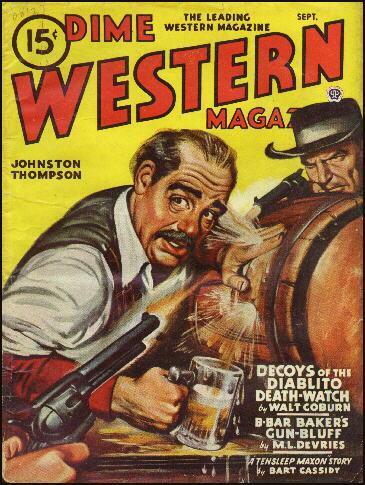 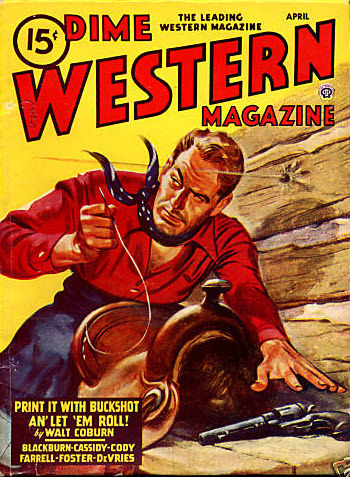 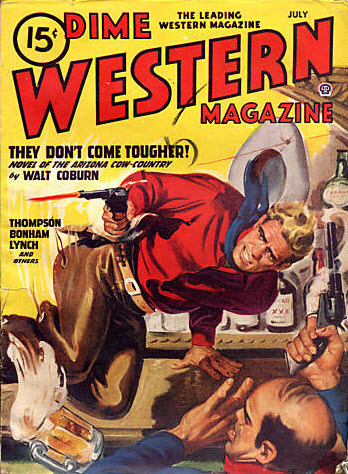 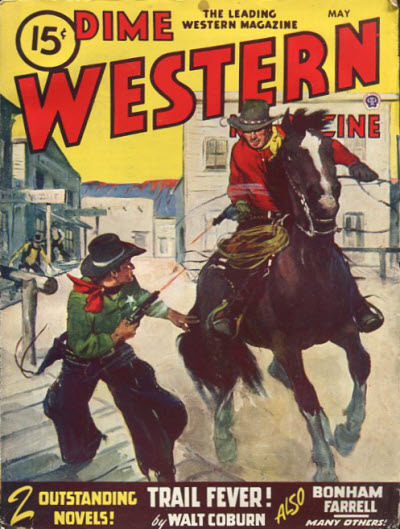 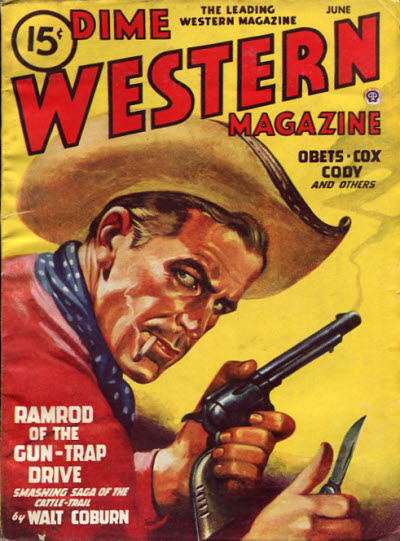 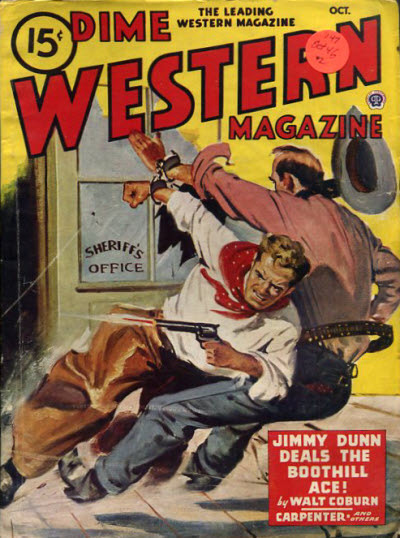 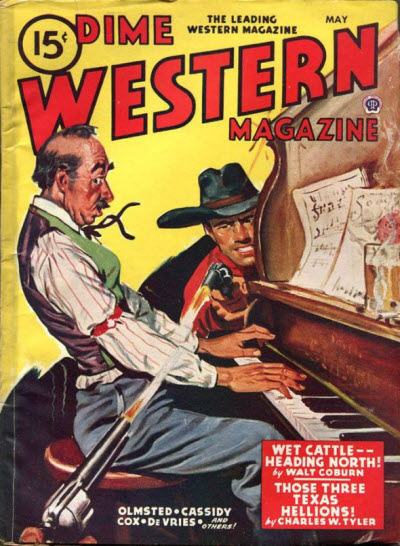 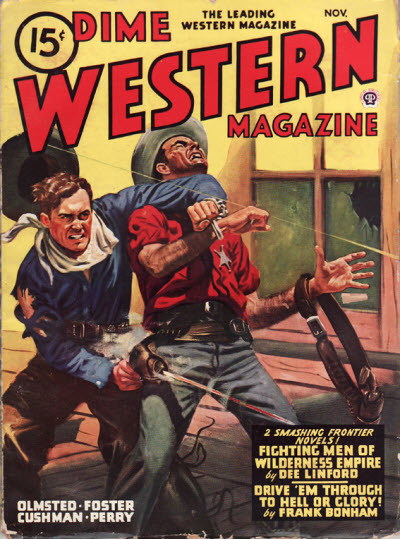 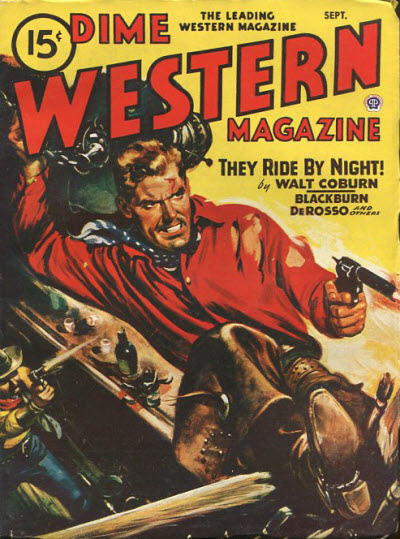 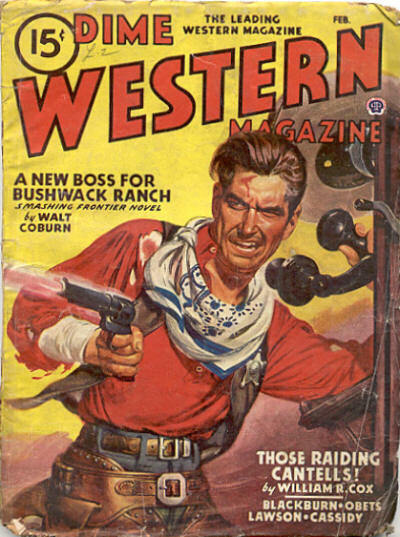 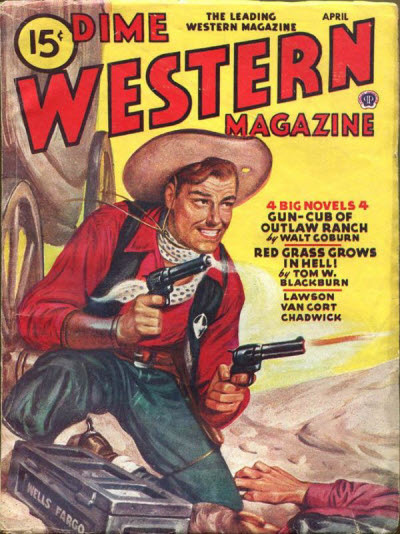 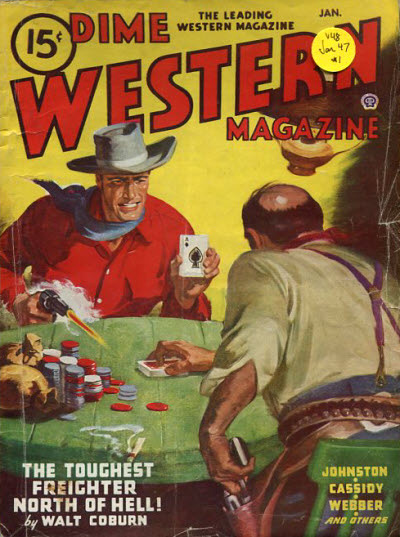 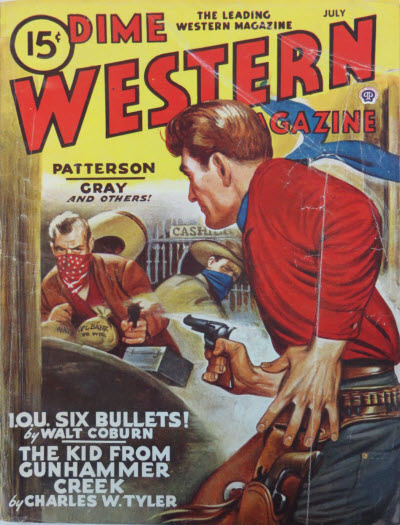 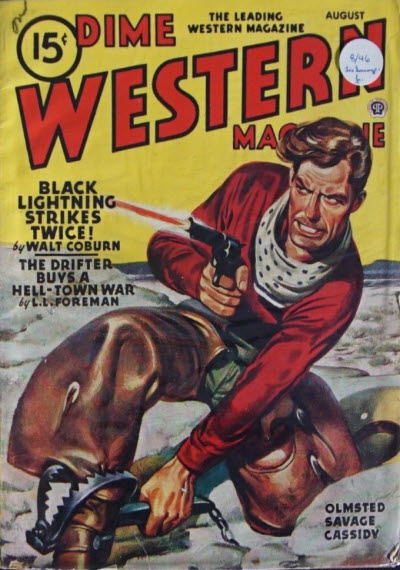 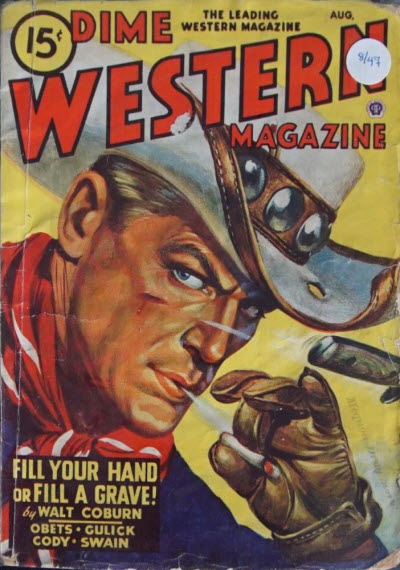 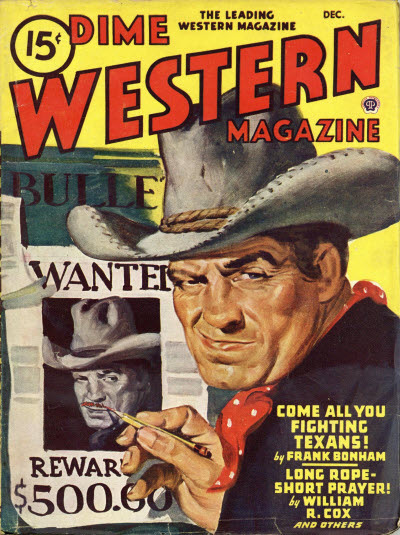 21 · Furlough from Boot-Hill · C. William Harrison · ss; not the same as the story with a very similar title in the November 1943 issue of .44 Western Magazine.